TMF (Terminated Merchant File) is bad news for any e-commerce site or retailer. In a nutshell, this means that your merchant processing account has been cancelled at some point in the past due to a high number of charge backs, abusing the system, or going over the pre-set account limits. Once you have been deemed too risky, you will find it hard to get approval for any merchant account. In the end, this means that you will either pay extremely high fees or you will be denied for every merchant processing account you hope to open. Without accepting into a credit card processing plan, you will be unable to accept credit cards online for payments. Charge backs are the biggest risk. A charge back occurs when the customer spots a credit card charge on their card and do not remember making that charge. Things like stolen credit card account information trigger charge backs. It might be as simple as a teenager has used mom or dad’s credit card without permission to an actual theft of a credit card that leads to credit card charges being made fraudulently. E-commerce site processed a credit card transaction more than once. This may be the fault of an impatient customer hitting “submit” a second time when it looks like their computer isn’t working. It might also be the fault of a clerk forgetting they’d swiped the card already. The customer ordered a product but that product never arrived or they claim it never arrived. Storefronts can prevent this by sending all merchandise via return receipt or delivery confirmation. The customer was charged the wrong amount. This happens frequently with sales or clearance items. The service didn’t meet the customer’s expectations. Telemarketing items often look great on television but then do not work as expected. This leads to high numbers of returns and unhappy customers. The product was faulty or failed to perform to the customer’s expectations. Again, this is common with telemarketing or infomercial products. The expiration on the American Express, Discover, MasterCard, or Visa was incorrect or had passed. The customer was not of age when purchasing adult merchandise or adult videos. The computer system or worker did not cancel order correctly. Cashier fraudulently added to the amount of the purchase or credit card charge. Sadly, this happens frequently with restaurant bills. A server will change a number to a different number to increase their tip. Sometimes clients don’t catch the mistake, but if they do, the restaurant will pay heavily for their theft. Business owners can dispute charge backs, but they must have proof that the customer was at fault. This can be hard to prove. You can also protect yourself by making sure you have a high-risk account, utilizing extra security measures to prevent fraud, and simply hiring staff to check all orders for correct items, complete credit card information, promptly handling customer returns without hassle are simple ways to reduce charge backs. Stores can also make phone calls and send emails to a customer to verify they did in fact make the purchase. This can help alert card holders to fraudulent activity before a charge is made. Charge backs can cost a company upwards of $40 in fees each time a charge back is made. In addition, charge backs are noted in a store or e-commerce website’s file. Too many of these charge backs signals a lack of added precaution on the storefront’s part. Perhaps they are not asking for the three-digit security code, your secure server is not as secure as you think, your customer service are not doing their job, or it’s a just a case of bad luck. Either way, it can cost you business. 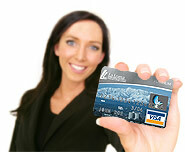 If you have been placed on the match list you will have a difficult time getting a credit card processing solution. We have placed merchants in the past who are on this list. Please click above and provide as much information as possible so that we can assist you.